Mr. Foster joined Monroe Credit Advisors in 2016 and is responsible for structuring and executing middle market debt transactions for the firm’s clients. Prior to Monroe, he was a vice president at GE Capital where he held several positions across the leveraged lending platform. At GE Antares he was responsible for loan structuring and syndications for sponsored middle market transactions. 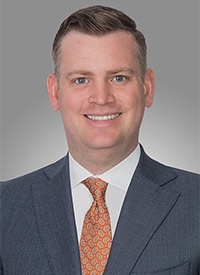 He also performed underwriting and portfolio management for GE Capital's Healthcare Financial Services business, as well as primary sales and trading of broadly syndicated loans on GE’s sales desk. Mr. Foster also headed up the Market Intelligence and Strategic Marketing team across GE’s Capital Markets organization. He holds and maintains FINRA licenses Series 79 (Investment Banking Representative), Series 63 (Uniform Securities Agent State Law), and Series 7 (General Securities Representative). Mr. Foster earned his B.A. in Business Administration from the University of Richmond's Robins School of Business.